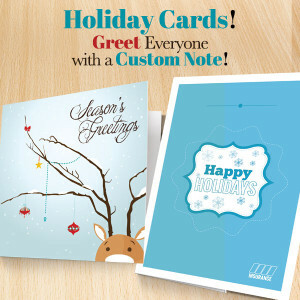 The Holidays can be a stressful time, let 509 Creative take one thing off your list with custom Holiday cards! We have many sizes and options available. We can simply supply you with custom cards and blank envelopes or go as far as addressing and mailing them for you too! Contact us for a free quote. Package deals to print, customize and mail your cards. Contact us for a risk free quote!